We’re the first to admit that in-between all the other chores and errands on your list, scenting your home doesn’t always take top priority. But what if it could be a creative, all-natural process that not only scents your home but goes hand in hand with a host of health benefits? Cue essential oil diffusers, our new favourite wellness obsession. You may already own one of the old school ceramic diffusers that use a tealight to activate the oils, but modern ultrasonic essential oil diffusers take the concept to the next level. So why have we fallen head over heels for essential oil diffusers? First and foremost, essential oil diffusers will make any space smell divine. 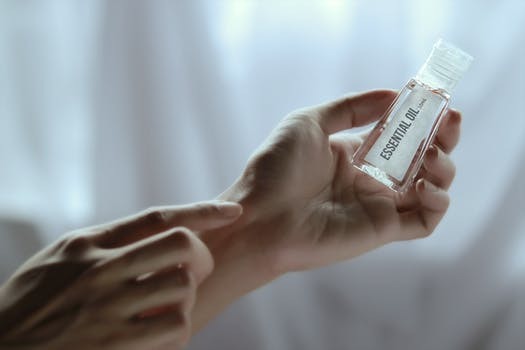 Unlike other air fresheners which are laden with synthetic afternotes, essential oils are 100% natural and chemical free. They’re also derived from pure plant material which means the scents are stronger and more authentic. Essential oils are linked to a host of health benefits, with each extract offering its own unique properties. Part of the fun is doing your research and finding out what oils offer what benefits. 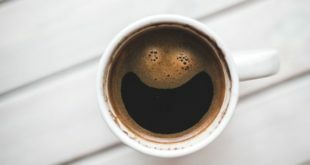 For example, if you find it difficult to get to sleep you’ll love oils like lavender, ylang-ylang, vetiver and valerian, all of which are conducive to a restful night’s sleep. Does your other half snore? No problem. Simply diffuse a little eucalyptus, vetiver, marjoram or tea tree. Bergamot, chamomile, rose and frankincense are all known for their calming properties, while oils like oregano, peppermint and lemon can help ward off the flu and the common cold. There are so many health and healing benefits on offer so get creative and start experimenting. Speaking of healing properties… If you suffer from chronic pain in any shape or form, diffusing essential oils can help offer holistic relief. We’re talking arthritis, back pain, joint pain and a host of other ailments. Oils with proven remedial benefits include ginger, chamomile, eucalyptus, clary sage, rosemary and bergamot. Oh, and they smell incredible. All too often life can seem fast, overwhelming and full of distractions. That’s why we love the idea of the home as a sanctuary. It should offer a respite from whatever’s going on in the world around you, and be a place to relax and re-energise. 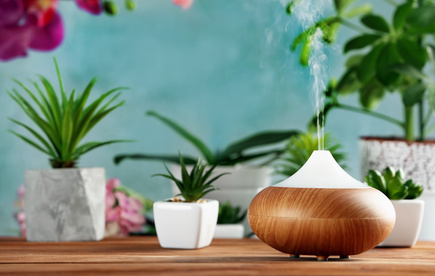 Essential oil diffusers can help create the tranquil environment you need, using both scent and healing properties to heighten the experience. While we absolutely adore a good soy wax scented candle (hello hygee) the reality is that they’re not exactly the safest way to scent your home. An open flame goes hand in hand with a fire risk, and even the most switched on people can sometimes forget to blow them out before they leave the house or go to bed. With essential oil diffusers, you never have to worry about the risk of fire which makes them all the more relaxing. When you’re at the supermarket it’s all too easy to breeze down the cleaning aisle, pick up a home fragrance solution for a few dollars and leave it at that. But did you know that most air fresheners are packed full of chemicals that can wreak havoc on sensitive skin, eyes, noses and throats? Not to mention trigger chronic headaches and migraines. In fact, according to a recent study over 20% of the general US population report adverse health effects from air fresheners. With essential oil diffusers, you can shun chemicals and infuse your home with 100% natural, chemical free scents that won’t compromise your health. One of the main reasons we love diffusing essential oils is the freedom to create your own custom blends. With a kit of 100% pure essential oils on hand, you can add a few drops of this and a few drops of that to suit your mood. Rather than lather your skin in chemical-laden bug repellents (don’t even get us started on DEET) why not load up your essential oil diffuser with a blend of clove, lemongrass, rosemary and cedarwood? As it steams away it’ll make your deck smell amazing, and keep mosquitoes, flies and other pests at bay. From pollen to dust mites, allergies can be debilitating. And all too often over the counter meds just don’t do the trick. Oils like peppermint, basil, eucalyptus and tea tree are wonderfully rejuvenating and can provide comfort and relief in the face of allergies. Far too many store-bought air fresheners are doused in chemicals, not to mention harmful VOCs that are particularly dangerous to little ones. From headaches and asthma attacks to mucosal symptoms and infant illness, is it worth the risk? In comparison, essential oil diffusers are a 100% safe and natural way to scent your home without putting children’s health at risk. Just be sure to store your essential oils well out of reach. Top tip: if you’re babysitting the grandkids and the little ones are rowdy or overtired blends like vetiver, cedarwood and lavender can help calm them down. With so many reasons to love essential oil diffusers they really are a worthwhile investment. A quick Google search will offer a huge range of choice on where to buy an essential oil diffuser online.